MVMNT Café was a commission by Cathedral Group. 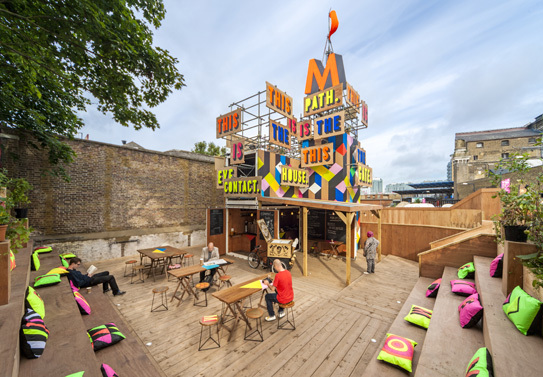 It was produced and invented by Morag Myerscough of Studio Myerscough. It has won many awards. We think it’s the first building built with a tweet. Each day I try Dawn Tweet. Morag chose this one: – This is the house. This is the path. This is the gate. This is opening. This is morning. This is a person passing. This is eye contact.